Bagasse is the residual fibre resulting from the extraction of sugarcane juice. There are two main types of bagasse. Factory bagasse comes from industrial processes involving repeated extraction steps. 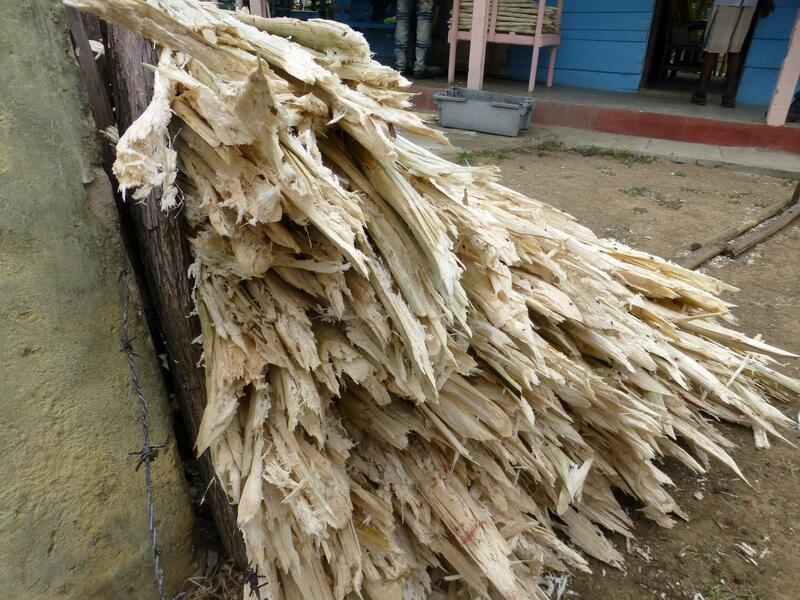 The bagasse is the fibrous by-product of sugarcane stalks milled for juice extraction. The fibre is passed through sieves to remove fine particles which may be used as a filter aid later in the process, or as a feedstuff (“pith bagasse”). Much of the bagasse provides the energy required for the operation of the factory. Pressed cane stalks, or "farm bagasse" is obtained from on-farm or small factory cane fractionation that uses only 2 or 3 crushers. Due to the reduced efficiency of the extraction process (50% vs. 70% extraction rate), it contains higher amounts of sugar-rich juice and is more valuable for ruminants (Preston, 1995). 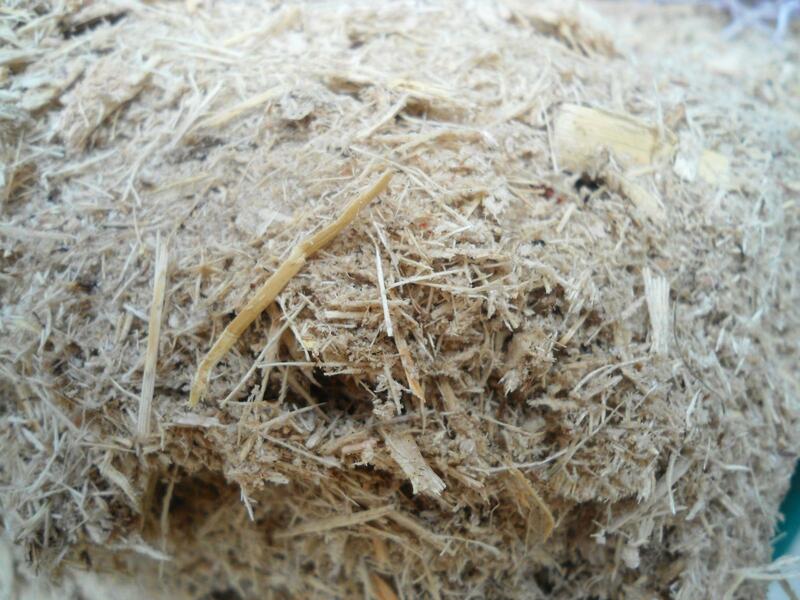 As with other fibrous materials, dry bagasse is often used as litter for pigs and poultry. The bagasse is then recycled into organic fertilizer. Sometimes, when local regulations authorise it, poultry litter may be incorporated in ruminant diets as a feedstuff rich in non-protein nitrogen. Bagasse is usually available at the site of sugarcane production in the tropics and subtropics. However, the availability of bagasse to feed animals depends on how much is used as fuel. The NaOH treatment method of bagasse is relatively costly and may cause pollution due to the large quantities of sodium hydroxide required. In the context of sustainable agriculture, discussions are underway on the strategies for better use of bagasse through livestock farming: feed, manure and fuel (Preston, 2009). Raw bagasse is a poor, fibrous roughage mostly used for ruminants. Its ingestibility, nutrient density and digestibility (about 30%) are very low. However, it is sometimes the only roughage available on-farm. When production targets are high, its use must be accompanied by significant amounts of concentrate supplementation. As with all low-quality roughages, supplementation is required to supply minerals, nitrogen and fermentable energy to the rumen for optimal microbial activities, and energy and by-pass protein to be absorbed in the intestines. Various methods have been tested and developed in order to increase the digestibility of bagasse. Steam pressure is the most efficient method to increase digestibility that appears to have application on an industrial scale. It solubilises the hemicelluloses through the release of acetic acid. This technique is particularly appropriate at the sugar mill where there is surplus steam and where the necessary technical knowledge and equipment are also available. This technology has been applied commercially in intensive cattle fattening in Colombia (though it was later discontinued), Brazil and India (Preston, 1995). In Mauritius, treatment of bagasse with high pressure steam (14 kg/cm² for 5 minutes) increased in sacco dry matter digestibility from 28% to 60% (rumen nylon bag method, 48 hour incubation). In Colombia, steam-treated bagasse fed to zebu steers, receiving a supplement of either 2-3 kg per 100 kg live weight of Gliricidia sepium foliage, or 1-2 kg and ad libitum molasses/urea mixture (10% urea), resulted in average daily gains of 0.55-0.75 kg/day (Osorio, 1990). In Brazil, the treatment that gave the highest in situ digestibility in Jersey cows was a pressure of 19 kg/cm² for 6 minutes, but while steam treating the bagasse nearly doubled its potential degradability, its effective degradability was only 48% after 48 h rumen incubation (Basile et al., 1990). NaOH treatment of factory bagasse is an effective method that has been employed in Cuba on a large scale (Preston, 1995). Treatment with 5-6% NaOH was reported to achieve a three-to-four fold increase in digestibility and was found to be more efficient than treatment with urea and combinations of urea and NaOH. It is however too costly and this technique is, therefore, not considered sustainable (Suksombat, 2004). There are also issues with pollution (Preston, 1995). Urea treatment is an interesting method (Hassoun et al., 1990), though not as effective as other treatments: bagasse does not respond to urea treatment as well as cereal straw. This is probably due to the lack of urease enzyme in bagasse compared with rice straw (Rangnekar, 1988 cited by Suksombat, 2004). However, it can still be cost-effective compared to other methods (Suksombat, 2004). Steam-ammoniation resulted in lower average daily gains in zebu steers and the technique was found less interesting than regular steam pressure (Osorio, 1990). However, 4% anhydrous ammonia increased effective degradability of bagasse DM in steers from 23% to 36% (Pires et al., 2004). Treating bagasse with sodium sulphate (NaS2) did not result in higher degradability (Pires et al., 2004). Treating bagasse with cultures of white-rot fungi resulted in higher in vitro digestibility and gas production from some fungi strains (Okano et al., 2006). Industrially-produced pith bagasse has been studied in Iran. Pith bagasse treated with steam pressure was found to have potential as an alternative feed for lambs and beef, and economically viable, though inclusion levels higher than 33% resulted in decreased feed conversion ratios and average daily gains (Sabbagh Zade et al., 2009; Hashemipour et al., 2009). Treatments with NaOH, calcium hydroxyde and ammonia (and various combinations of these treatments) were also found beneficial, resulting in higher digestibility, higher average day gain and lower costs when treated pith bagasse replaced wheat straw (Firdos et al., 1989). When goats were offered pressed cane stalks, they avidly consumed the sugar-rich pith and discarded the lignified rind. In studies in the Dominican Republic, goats on a mixed diet of pressed stalk and fresh Gliricidia sepium foliage selected and apparently preferred the pith to the green foliage (Preston et al., 1987). It should be fed in a way that permits selection, e.g. by giving 200% of the expected DM intake. Because of the low nitrogen content, it should be supplemented with molasses-urea, rice polishings, cottonseed cake, or some other by-pass protein source, and a green foliage such as legume tree foliage. Rabbits require high fibre feeds and bagasse can be considered as good source of fibre (de Blas et al., 1999). Bagasse is fed ground to rabbits. In spite of various attempts to determine optimal particle size for rabbits, it is not clear that this has an effect on digestibility or growth (Gomes et al., 2004; Vieira et al., 2003a; Vieira et al., 2003b). Bagasse treated with NaOH was not found to increase performance (Pereira et al., 2008).